Methamphetamine has the chemical formula C10H15N and a molecular mass 149.233 g/mol. It enters the brain and triggers a cascading release of norepinephrine, dopamine and serotonin. To a lesser extent methamphetamine acts as a dopaminergic and adrenergic reuptake inhibitor and in high concentrations as a monamine oxidase inhibitor (MAOI). Since it stimulates the mesolimbic reward pathway, causing euphoria and excitement, it is prone to abuse and addiction. Users may become obsessed or perform repetitive tasks such as cleaning, hand-washing, or assembling and disassembling objects. Withdrawal is characterized by excessive sleeping, eating and depression-like symptoms, often accompanied by anxiety and drug-craving. Users of methamphetamine often take one or more benzodiazepines as a means of "coming down". One of the earliest uses of methamphetamine was during World War II when the German military dispensed it under the trade name Pervitin. It was widely distributed across rank and division, from elite forces to tank crews and aircraft personnel. Chocolates dosed with methamphetamine were known as Fliegerschokolade ("flyer's chocolate") when given to pilots, or Panzerschokolade ("tanker's chocolate") when given to tank crews. From 1942 until his death in 1945, Adolf Hitler was given daily intravenous injections of methamphetamine by his personal physician, Theodor Morell as a treatment for depression and fatigue. It is possible that it was used to treat Hitler's speculated Parkinson's disease, or that his Parkinson-like symptoms which developed from 1940 onwards were related to use of methamphetamine. After World War II, a large supply of amphetamine, formerly stockpiled by the Japanese military, became available in Japan under the street name shabu (also Philopon) (pronounced ãƒ’ãƒ­ãƒãƒ³, or Hiropon), its tradename there.) The Japanese Ministry of Health banned it in 1951; and its prohibition is thought to have added to the growing yakuza-activities related to illicit drug production. Today, methamphetamine is still associated with the Japanese underworld, but its usage is discouraged by strong social taboos. In the 1950s there was a rise in the legal prescription of methamphetamine to the American public. According to the 1951 edition of Pharmacology and Therapeutics by Arthur Grollman, it was to be prescribed for "narcolepsy, post-encephalitic Parkinsonism, alcoholism, ... in certain depressive states... and in the treatment of obesity. "In the 1960s significant use began of clandestinely manufactured methamphetamine and methamphetamine created in users' own homes for personal use. The recreational use of methamphetamine peaked in the 1980s. The December 2, 1989 edition of The Economist described San Diego, California as the "methamphetamine capital of North America." In 2000, The Economist again described San Diego, California as the methamphetamine capital of North America, and South Gate, California as the second capital city. Methamphetamine is a potent central nervous system stimulant which affects neurochemical mechanisms responsible for regulating heart rate, body temperature, blood pressure, appetite, attention, mood and responses associated with alertness or alarm conditions. The acute effects of the drug closely resemble the physiological and psychological effects of an epinephrine-provoked fight-or-flight response, including increased heart rate and blood pressure, vasoconstriction (constriction of the arterial walls), bronchodilation, and hyperglycemia (increased blood sugar). Users experience an increase in focus, increased mental alertness, and the elimination of fatigue, as well as a decrease in appetite. The methyl group is responsible for the potentiation of effects as compared to the related compound amphetamine, rendering the substance on the one hand more lipid soluble and easing transport across the blood brain barrier, and on the other hand more stable against enzymatic degradation by MAO. Methamphetamine causes the norepinephrine, dopamine and, serotonin(5HT) transporters to reverse their direction of flow. This inversion leads to a release of these transmitters from the vesicles to the cytoplasm and from the cytoplasm to the synapse (releasing monoamines in rats with ratios of about NE:DA = 1:2, NE:5HT= 1:60), causing increased stimulation of post-synaptic receptors. Methamphetamine also indirectly prevents the reuptake of these neurotransmitters, causing them to remain in the synaptic cleft for a prolonged period (inhibiting monoamine reuptake in rats with ratios of about: NE:DA = 1:2.35, NE:5HT = 1:44.5). Methamphetamine is a potent neurotoxin, shown to cause dopaminergic degeneration. High doses of methamphetamine produce losses in several markers of brain dopamine and serotonin neurons. 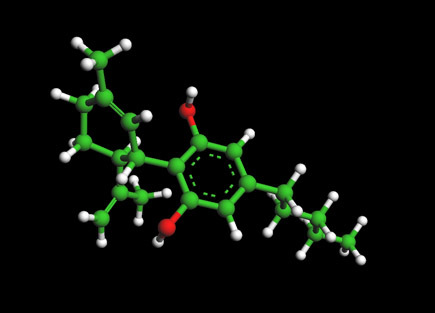 Dopamine and serotonin concentrations, dopamine and 5HT uptake sites, and tyrosine and tryptophan hydroxylase activities are reduced after the administration of methamphetamine. 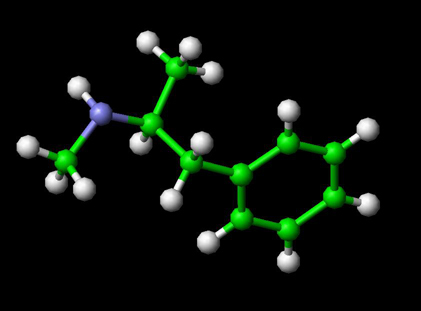 It has been proposed that dopamine plays a role in methamphetamine induced neurotoxicity because experiments which reduce dopamine production or block the release of dopamine decrease the toxic effects of methamphetamine administration. When dopamine breaks down it produces reactive oxygen species such as hydrogen peroxide. It is likely that the oxidative stress that occurs after taking methamphetamine mediates its neurotoxicity. It has been demonstrated that a high ambient temperature increases the neurotoxic effects of methamphetamine. Recent research published in the Journal of Pharmacology And Experimental Therapeutics (2007) , indicates that methamphetamine binds to a group of receptors called TAAR. TAAR is a newly discovered receptor system which seems to be affected by a range of amphetamine-like substances called trace amines. Methamphetamine Use: Clinical and Forensic Aspects, by Errol Yudko, Harold V. Hall, and Sandra B. McPherson. CRC Press, Boca Raton, Fl, 2003. Methamphetamine and amphetamine pharmacokinetics in oral fluid and plasma after controlled oral methamphetamine administration to human volunteers. McGregor C, Srisurapanont M, Jittiwutikarn J, Laobhripatr S, Wongtan T, White J (2005). "The nature, time course and severity of methamphetamine withdrawal.". Addiction 100 (9): 1320-9. PMID 16128721. Nagai N. (1893). "Kanyaku maou seibun kenkyuu seiseki (zoku)". Yakugaku Zashi 13: 901. Substance Page on Methamphetamine. PubChem. Doyle, D (2005). "Hitler's Medical Care" (PDF). Journal of the Royal College of Physicians of Edinburgh 35: 75-82. Retrieved on 2006-12-28. Digital Creators Studio Yama-Arashi (2006-04-16). (Various Antidepressants) (Japanese). Retrieved on 2006-07-14. M. Tamura (1989-01-01). Japan: stimulant epidemics past and present. Bulletin on Narcotics 83-93. United Nations Office on Drugs and Crime. Retrieved on 14 July, 2006. Cunningham JK, Liu LM. (2003) Impacts of Federal ephedrine and pseudoephedrine regulations on methamphetamine-related hospital admissions. Addiction, 98, 1229-1237. BA Clement, CM Goff, TDA Forbes, Phytochemistry Vol.49, No 5, pp1377-1380 (1998) "Toxic amines and alkaloids from Acacia rigidula"
Itzhak Y, Martin J, Ali S (2002). "Methamphetamine-induced dopaminergic neurotoxicity in mice: long-lasting sensitization to the locomotor stimulation and desensitization to the rewarding effects of methamphetamine.". Prog Neuropsychopharmacol Biol Psychiatry 26 (6): 1177-83. PMID 12452543. C. Davidson, A. J. Gow, T. H. Lee, E. H. Ellinwood (2001). "Methamphetamine neurotoxicity: necrotic and apoptotic mechanisms and relevance to human abuse and treatment". Brain Research Reviews 36 (1): 1-22. doi:10.1016/S0165-0173(01)00054-6. Yamamoto, B. and Zhu, W. (October 1998). "The Effects of Methamphetamine on the Production of Free Radicals and Oxidative Stress". The Journal of Pharmacology and Experimental Theraputics 287 (1): 107-114. Retrieved on 2007-11-19. (2006) "Relationship between Temperature, Dopaminergic Neurotoxicity, and Plasma Drug Concentrations in Methamphetamine-Treated Squirrel Monkeys". The Journal of Pharmacology and Experimental Theraputics 316 (3): 1210-1218.